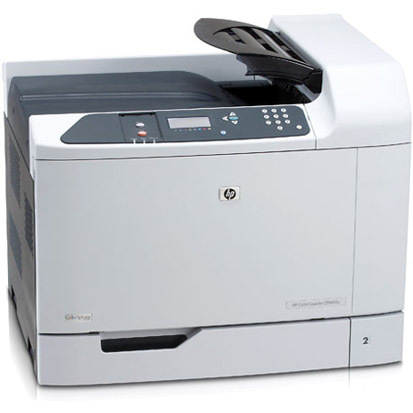 Find the HP Color LaserJet CP6015xh toner you need for the lowest price at 1ink.com. Our remanufactured toner cartridges offer superb print quality and an unbeatable performance. You’re getting the same level of clarity and legibility that you’d get in print work using OEM (original equipment manufacturer) HP cartridges, but here at 1ink.com you’ll get huge savings off the OEM retail price. Our toner performs the same. You’ll have the same page yield and other print specs as an OEM product. 1ink.com’s black remanufactured HP 823A toner yields up to 16,500 pages and our color remanufactured HP 824A toner cartridges (in cyan, yellow, and magenta) print up to 21,000 pages, just like the OEM versions. You may be used to shelling out large payments for OEM toner, but here at 1ink.com you’ll actually save money. Our toner is priced to help you save over 60% off the OEM cost while still delivering the same consistent results your business depends on! Browse through our selection of toner and find the cartridge you need for your HP Color LaserJet CP6015xh printer at a price you’ll love.